Home / General / What Makes a Natural Organic Latex Mattress Better Than Other Mattresses? If you find yourself waking up feeling uncomfortable or with sore, aching spots, then it might be time to rethink your mattress. Conventional foam and box spring mattresses may not be the healthiest and most comfortable, especially when you consider their potential for emitting or off-gassing harmful fumes and toxic chemicals that can find their way to your body and cause you to get sick. Because of that, discerning sleepers are choosing a natural organic latex mattress over other mattresses. Natural latex is healthier and safer – A natural organic latex mattress is manufactured without any harmful or toxic substances, like fire retardants and chemicals from the processing of synthetic fibers and dyes. Hence, you do not have to worry about allergies, respiratory issues, and potential health problems like certain types of cancer, erectile dysfunction, fertility issues, and neurological disorders. It lets you sleep better – Latex follows the contours of your body to provide support where you need it most, like your lower back. Hence, you wake up without sore spots or an aching back. 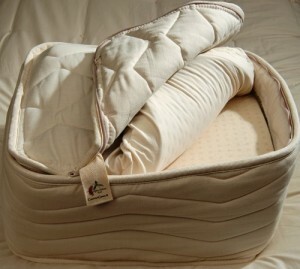 The natural organic latex mattress quickly recovers and restores its shape as soon as you leave the bed. Moreover, it lets you sleep more comfortably because it helps maintain a neutral temperature and it will not run too hot or too cold. If someone sleeps beside you, latex helps minimize transference of motion, which occurs every time your sleeping partner moves or tosses and turns. It is more hygienic – Natural latex repels dust mites and other elements that may cause eczema, hay fever, and other skin and respiratory issues. . Hence, the natural organic latex mattress will not become a breeding ground for fungus, bacteria, and mold. It is durable – Natural rubber has a life expectancy of over two decades, so you do not have to worry about replacing your mattress any time soon.